There are some enormous shifts, changes, tweaks, and otherwise happening over at the metaphysical #SciFund HQ these days. We’re going to start rolling out some announcements about all of this soon, but, before I can do that, #SciFund is sending out an call that we’d love you to spread through the vasty tubes of the interweb! The #SciFund Mysterymobile. Can you help us make it go? #SciFund is looking for a Django developer. Jai and I – we’re scientists. We code. Heck, we even have some mild chops for web development. Emphasis on the word mild. But we’ve got something that is going to change the face of science crowdfunding forever (what, I had to make it big, right?) that is about to happen. And it required a Django developer. To be up front, we don’t have cash in hand (yet!) (but, hey, aren’t we an organization that specializes in raising cash, or, helping others do that? ), so, we need someone who is passionately devoted to furthering science outreach and engagement and can get on board the mission. 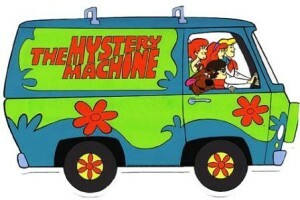 So, will you join us, and be the new engineer for the Mystery Machine of #SciFund’s future? If so, contact me! Previous "What happens if I don't reach my funding goal?" Next New FREE outreach training class for scientists!